Online Payroll for Business Owners on the Go! 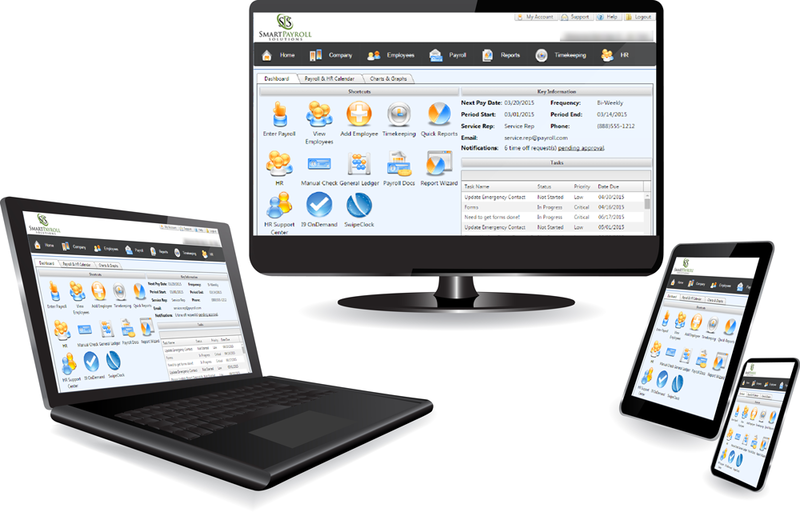 Online payroll, through SmartPayroll Solutions gives you the option of taking control of your payroll with a state-of-the-art, robust system and user-friendly interface. Our system is accessible 24/7 on WiFi enabled devices and processes your payroll in real time. This cloud-based payroll and workforce management tool offers everything you need for accurate and efficient payroll processing, including employee onboarding, time and attendance, and more! You can customize functionality, adding components that fit your business, and addressing the unique needs of each administrator, manager or employee. We utilize state-of-the-art security to ensure the highest level of protection for your sensitive payroll data. And we follow rigorous standards for safety and reliability, enabling you to focus on running your business, knowing with confidence your data is being managed properly. You can customize functionality, adding components that fit your business and addressing the unique needs of each administrator, manager or employee. One size does not fit all. That’s why our online payroll system is flexible and scalable. Take look at some of our most important features and give us a call. We will help you build the system that fits. Ad hoc and custom reports, charts and graphs are available to assist you in strategic planning, budget preparation and production management. Want even more? With the payroll and HR calendar, you can view important due dates and holidays. And with our Manager’s Choice Accruals option, you can even view and approve PTO requests instantly and accurately from anywhere. This simple and affordable option allows schedules to be created, changed and communicated in seconds, cutting down scheduling time by over 75 percent. If efficient production management is what you need, we can add the capability to track time by job, enter piecework and integrate this important data into your payroll system for you. 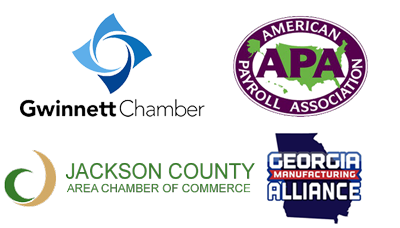 Call (678) 775-6750 and we will help you choose the right payroll solution. We will set everything up and upload your data for you. With our Premium option, you have user-friendly access to your payroll from anywhere, anytime 24-7. Our comprehensive, robust system and professionals handle the taxes from start to finish. We will also help you with benefits, onboarding, time tracking, policies, procedures and employee handbooks.